Market changes and increased regulatory oversight in the US have hurt Lupin, but India's third-biggest drug maker is making efforts to come back. It has been a subdued golden jubilee for Lupin Ltd, and not only because founder Deshbandhu Gupta did not live to see it, having passed away last year, but also because the company stumbled in 2017/18, posting a net loss of Rs 774 crore in the last quarter. Over a dramatic 12 years starting 2005, it had raced ahead of peers to become India's second-largest in pharma (after Sun Pharmaceuticals) in 2016/17, and the eighth biggest generic drug maker in the world. But in 2017/18, all its key financial indices took a hit - net sales, which had risen 24.4 per cent in 2016/17 over the previous year to reach Rs 17,119 crore, fell to Rs 15,559 crore, while net profit, which had risen 13 per cent to touch Rs 2,557 crore in 2016/17 was down to just Rs 251 crore. Sales in North America, the US in particular, contribute heavily to Lupin's revenue (as they do for all leading Indian pharma companies). In 2017/18, North American sales dropped 28.7 per cent to Rs 5,893.9 crore against Rs 8,262.7 crore the previous year, while the US's contribution to overall sales declined to 38 per cent from 45 per cent three years ago. It has since dropped further to 31 per cent. In the first half of this financial year, Lupin's total revenues were Rs 7,807 crore, just 0.2 per cent higher than the same period last year. But the reported net profit was only Rs 468.7 crore, 42.4 per cent down from Rs 813.1 crore for the corresponding period last year. The lower figures have taken their toll on Lupin's market cap, which dropped to Rs 38,629 crore (as of November 11) from Rs 79,600 core in end 2015. What went wrong? 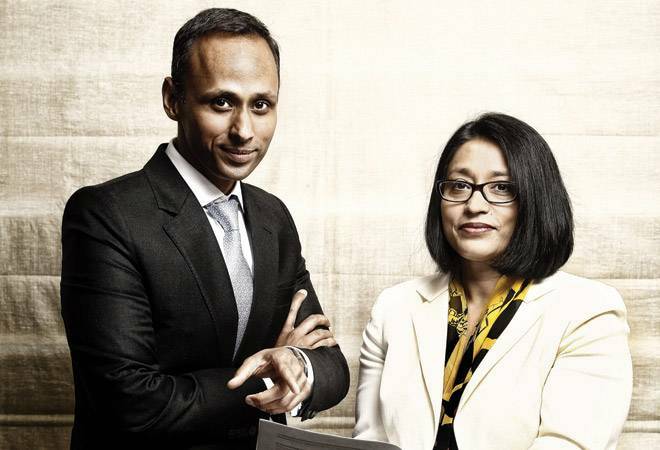 The rapid growth of the initially sedate Lupin began after the second generation - Gupta's daughter Vinita (CEO) and son Nilesh (MD) - started playing an active role from the early 2000s. (The company also brought back a professional manager, Kamal K. Sharma, in 2003, who has been with the company for over three decades.) Revenue rose from Rs 1,212 crore in 2004/05 to Rs 12,600 crore in 2014/15, a compound annual growth rate (CAGR) of 26 per cent. Profit skyrocketed from Rs 84.4 crore in 2004/05 to Rs 2,403 crore in 2014/15, with a CAGR of 40 per cent. That was when the market cap, too, went up from around Rs 2,200 crore to about Rs 79,600 crore, helped no doubt by the 15 acquisitions across the world Lupin made during this period, starting with Japan's Kyowa Pharmaceuticals in 2007. Most of these were small acquisitions which were made to create a 'string of pearls' and boost the company's global presence. With sustained investments of over 10 per cent of revenue in research and development, Lupin entered new generic platforms such as inhalation drugs and dermatology, and made a mark in new geographies, especially the US and Japan. Overall, it has a presence in nearly 40 countries, and direct presence in 13, which includes markets as diverse as Brazil and Germany. In the US, it became the third-largest pharma company in terms of generated doctors' prescriptions, market leader in 64 products and among the top three suppliers in 111 products. A vital feature of Lupin's US success was Vinita Gupta moving permanently to the US in 2005, and launching what was then a new strategy for Indian pharma companies - direct marketing to physicians. (Most Indian pharma companies prefer the safer route of entrusting distribution entirely to a local channel partner.) Lupin's decision proved a winner. The first branded drug it introduced in the US, which it sold directly, a cephalosporin antibiotic called Suprax, was in particular a runaway success. "For a decade, until our patent expired, it was almost an exclusive drug in the US, earning us $100 million a year," says Vinita Gupta. A second US bestseller was the cholesterol-lowering fenofibrate brand Antara, which Lupin bought in 2009 from US-based Oscient Pharmaceuticals - then undergoing bankruptcy proceedings - but which had annual sales of $85 million. A third big hit was the nasal spray AllerNaze, acquired from US-based Collegium Pharmaceutical for an undisclosed amount. In the generics market, Lupin is still the biggest global supplier of anti-TB cephalosporins, the first drugs Deshbandhu Gupta started with. In September 2013, Deshbandhu Gupta, then almost 75, withdrew (along with Kamal Sharma) from active management to mentorship, handing over Lupin's day-to-day business completely to Nilesh and Vinita. But he also set them a target for 2018 - reaching a revenue of $5 billion (Rs 36,000 crore). Sadly, that is still a long way off, but it remains an 'aspirational' goal. Consolidation among US channel partners was the first big setback. Three of the largest channel partners there merged - CVS-Caremark, Medco-Express Scripts and Walgreen-Alliance Boots - which enabled the new behemoth to rework deals with suppliers and dictate terms. Generics manufacturers found their margins sharply eroded. "When we started, there were five to six players who controlled 80-85 per cent of the market, but now just three players control 90 per cent of the market," says Vinita. "Marketplace changes occurred faster than we anticipated." Next, Lupin's last and biggest acquisition fell well short of expectations. In 2015, it had gone on an aggressive shopping spree - it bought the remaining 40 per cent stake in South Africa's Pharma Dynamics (it had already acquired 60 per cent in 2008); it forayed into Brazil to buy Mediquimica and into Germany for the specialty generics business of Temmler. Finally, it bought the US-based Gavis Pharma for a whopping $880 million, the biggest overseas acquisition by any Indian pharma company. Gavis had a manufacturing facility (which would be Lupin's first in the US), 66 products pending approval from the US's Food and Drugs Administration (USFDA), and another 65 niche dosage forms in the pipeline. It had an impressive record of filing patents as well and seemed like a good buy. Some analysts, however, felt even then that Lupin was overpaying for Gavis. Its subsequent performance seems to have proved them right. Lupin's fourth quarter loss in 2017/18 was mainly due to the one-time 'impairment provision' of Rs 1,464.35 crore it had to make towards the acquisition of Gavis. Lupin has acknowledged that some of Gavis's pipeline products are not coming through, nor would some planned expansions happen. The main reason, however, was one that could not have been anticipated - the US government's increased scrutiny around opioids (drugs that use narcotics in their formulation). It made getting USFDA approvals for some of Gavis's products more difficult and shrunk the opioids market as well. "The timing of the acquisition was wrong," says Vinita. "The scrutiny around opioids and their possible misuse increased, causing their volumes to go down significantly in the market." Her brother Nilesh agrees: "The acquisition did not deliver the value expected. Both the opioids issue and channel consolidation contributed to the problem." A third blow - which hit Lupin's reputation and in turn its share price - was a USFDA warning in November 2017 that two of its manufacturing facilities in India were not meeting quality standards. The two units - at Goa and Indore - made 30-40 products, bringing in revenues of around $60-80 million. The USFDA had been coming down hard on Indian pharma companies which exported to the US for some years, with repeated inspections and damning reports, but Lupin till then had never been pulled up. Other problems included more drugs being brought under price control in India from 2013, and drug pricing cuts imposed in Japan. Lupin is moving to combat the crisis in different ways. For one, it has engaged a leading consultancy firm to advise it. "We are working with the consultants to identify areas of operational improvement in supply chain management and raw material optimisation, increasing productivity of our sales personnel, and more," says Ramesh Swaminathan, Chief Financial Officer (CFO) of the company. For another, it claims to have fixed the issues raised by the USFDA at its Goa and Indore plants. "The matter will be resolved before the end of this financial year," says Nilesh. Most importantly, Lupin intends to rationalise its product list, reduce investment in lower-value generics and focus on complex, high-value ones, as well as on specialty branded products (like its first success in the US, Suprax). It is looking at a new business model where operating profit (i.e. earnings before interest, taxation, depreciation and amortisation, or EBITDA) margins will be above 30 per cent instead of the current under-20 per cent. 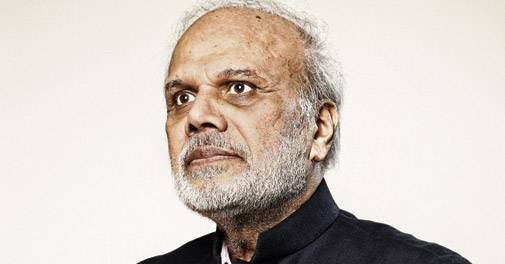 "Value migration happens in all industries," says Kamal Sharma, who remains Vice Chairman of the Lupin board in a non-executive role and was recently appointed for a year as adviser. "The generics industry is maturing, evolving towards specialty and complex generics and we have to do the same." Abbreviated new drug applications (ANDAs) are marketing applications for generics drugs in the US as per the generic laws there and Lupin has 405 such ANDAs. Of these, over 247 have been approved, 39 have been acknowledged as 'first to file' and another 14 exclusives are awaiting approval. As of end of 2017/18, 162 products were in the market and 158 filings were pending for approval. This covers a potential $104 billion-market, of which 30 per cent is complex generics (mainly inhalation and injectables) and another 32 per cent are biosimilars. "We have 20 complex generics in the pipeline and if we can crack the first generation products successfully, it will be easier to develop a second generation of similar products," says Nilesh. Specialty branded products currently contribute only five to six per cent of revenues, but it intends to increase this share substantially, by focussing in particular on women's health products, a $12-billion market. Lupin sees a growing opportunity in this segment in the US, as some of the market leaders in it like Pfizer, Allergan and Teva are moving out. Its 16th acquisition - and the only one after Gavis - has been the US-based Symbiomix Therapeutics in October last year for $150 million. It is betting heavily on one of Symbiomix's products, Solosec, a one-dose treatment for bacterial vaginosis, and which got USFDA approval in September. Lupin will have exclusive rights for 10 years. "We launched it in June this year and the results have been encouraging," says Vinita. Neurology, cardiovascular and nervous systems drugs meant for developed markets is another focus area in the specialty pipeline. To market branded products successfully, effective medical representatives are essential and Lupin has increased its number of such representatives in the US from 40 to 166 in recent months. 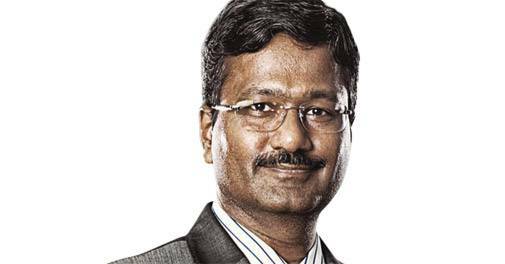 Recently, the company appointed Alok Sonig, a former Dr Reddy's Lab top executive, as CEO - US Generics and Global Head - Generics R&D and Biosimilars to boost its US business. To reduce risk, Lupin has also begun roping in partners to develop and market products. It has formed a joint venture with Japan-based YL Biologics to develop a biosimilar of the autoimmune drug Etanercept, used to treat chronic arthritis. Etanercept, currently sold by Pfizer under the brand name Enbrel, had global sales of $11 billion, of which $4 billion is in Japan, and Lupin hopes to make inroads into this market with partner Nichi-Iko. The company has teamed up with global drug giant Mylan to market the biosimilar in Europe, Asia, Australia and New Zealand. It has also partnered with the Germany-based Boehringer Ingelheim to market two of the latter's anti-diabetic drugs in India. In the near future, more acquisitions are unlikely. "We want to build on the foundation we have laid," says Vinita. "We may not require more geographical acquisitions." But she does not agree that Lupin is paying the price of having grown too fast. "We were not overspeeding," she says. "We had anticipated the market changes that occurred; it's just that they happened too fast. We should be able to offset the decline in the business with the evolution of some of the new areas we have invested in." Both she and Nilesh are confident that the $5-billion goal their late father set is achievable in the next five years. "The pain will continue for next 3-4 quarters, and then the big growth story will be back," says a confident Nilesh.